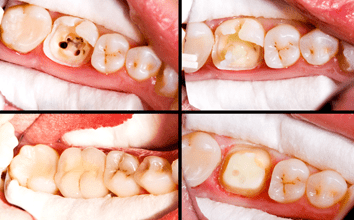 If you have damaged teeth that have been weakened by decay or you have been told that fillings alone are no longer suitable, a crown may be the most suitable treatment. A crown is basically a new ‘roof’ for your tooth. Imagine if your house has become water damaged as a result of a leaking or weak roof. Ideally you will need to replace your house’s protective layer to prevent further damage. It’s exactly the same when it comes to your teeth. When your tooth has become weakened by decay (as just an example, there are other reasons why you may need a crown) it is important to protect and strengthen the remainder of your tooth by treating it with a crown. E-Max crowns are an all-ceramic crown that is long-lasting and looks exactly like your natural teeth. They use a special type of lithium disylicate based ceramic, the thoroughness and durability of which makes it a fantastic material to use for this type of work. It’s safe to say that as a patient of City Dental Practice you will receive the best possible treatments using the best possible materials. We will be more than happy to discuss all of this with you during a complimentary consultation as we feel it is important for you to understand every possible restorative solution when it comes to your teeth. If you would like more information about crowns, or to book an appointment, please speak to our friendly reception team today by dialling 0121 455 9233. We look forward to speaking with you soon.